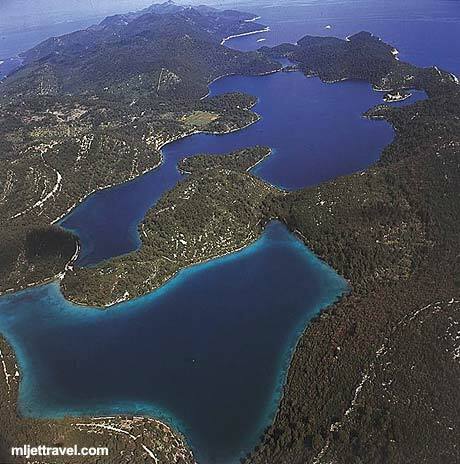 Mljet National Park covers the entire north-west part of Mljet Island see the map below. As both lakes are encircled by well-marked paths, you can cycle or stroll along the pleasant, shaded footpaths. You can also rent a bicycle in Pomena, Polače and at Mali Most to cycle around. Kayaking is allowed too, so if wish, you can rent a kayak at Mali Most (the point where two lakes are joined by narrow channel) to paddle around both lakes. 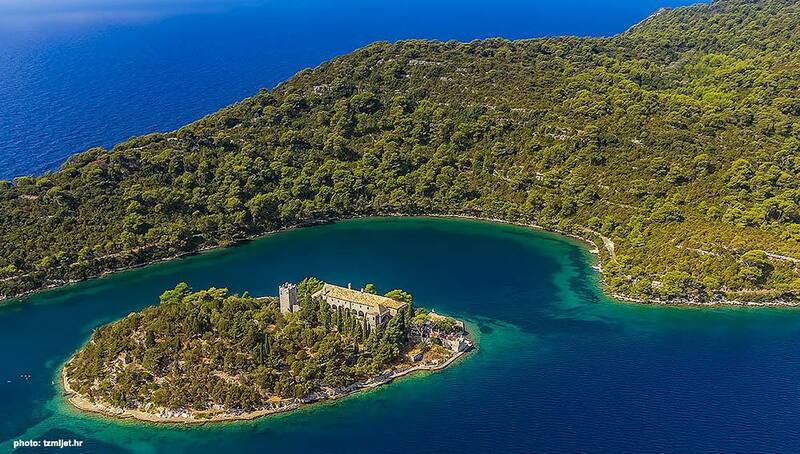 To enjoy stunning scenery from hills above the Mljet coastline and Park you can take a hike up the hills (200 m) to get the views. If you need to shop for basic items in the Park, the best place to do it is in Pomena, in its shopping market. The access to the park is at the north or west coast through villages Pomena and Polače. Although there is no official entrance to the National Park as such, visitors are expected to pay for the entrance (buy your ticket at a kiosk in Polače or Pomena. Info brochures and leaflets, as well as maps of the Park, are available in both kiosks. From Polače it takes about 40 minutes to walk along the path through a wood and across the valley to Veliko and Malo Jezero. From Pomena it takes about 10 minutes to walk to Malo Jezero and another 10 minutes to Small Bridge (Mali Most) from where regularly scheduled boats are sailing to Sv. Marija (Melita) islet. Both paths are clearly signed and lead through a nice pine and bay woods.